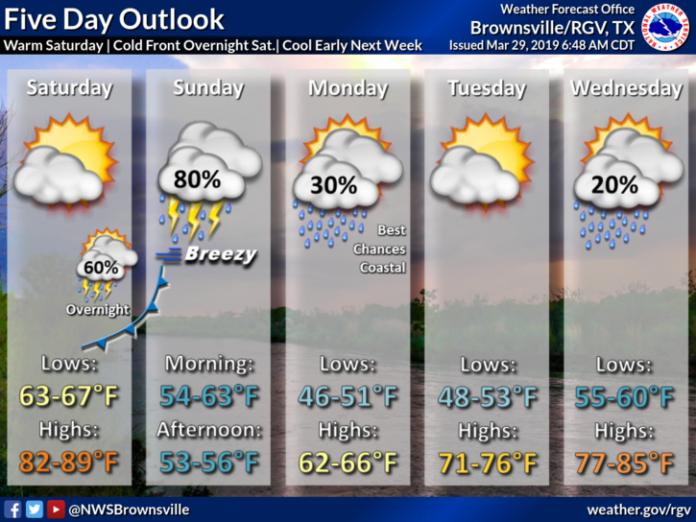 Today will be slightly warmer than Thursday with a moderate breeze, warm temperatures, lower-than-normal humidity levels and partly cloudy skies, according to the National Weather Service in Brownsville. Highs will reach the mid to upper 80s and winds will be southeast at 10 to 20 mph. 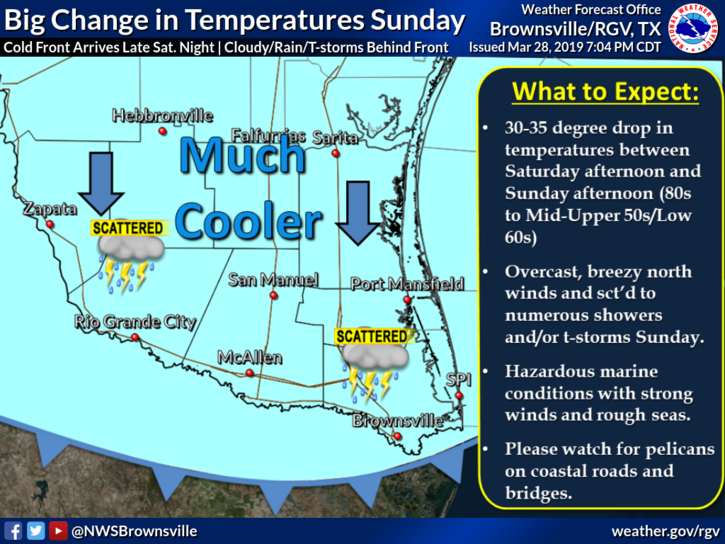 Today Brownsville will be 84, McAllen 87 and San Manuel 88. If you visit South Padre Island, expect 78-degree weather. Saturday will be warm and partly cloudy until a cold front arrives late Saturday night with thunderstorm chances. Expect cooler temperatures to begin next week. Best chances for rain and even an isolated thunderstorm will be overnight Saturday and Sunday. Saturday highs will be in the 80s. On Sunday, however, temps will drop into the 50s. On Sunday, expect for showers and scattered thunderstorms along and behind the front, continuing into Monday morning. Hazardous marine conditions are possible with strong winds and rough seas.